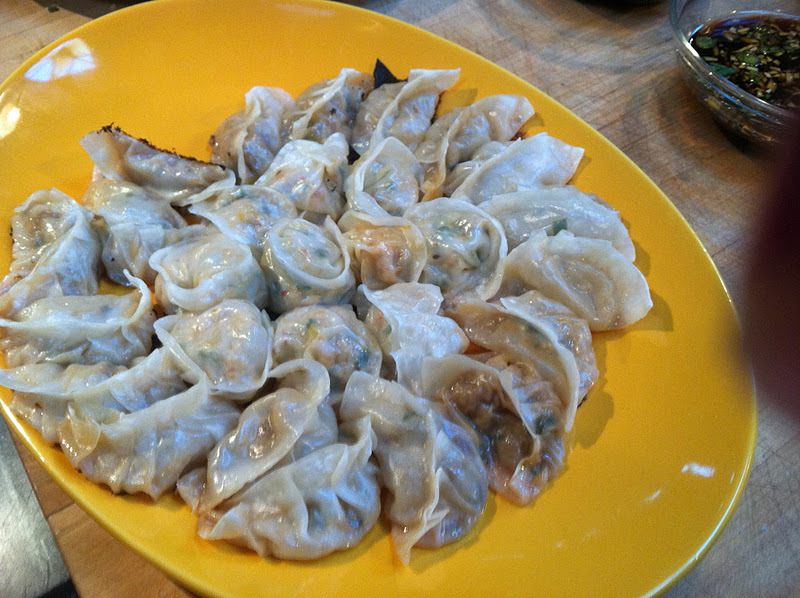 A Kitchen In Brooklyn: Sasha's Kitchen: Dumplings! Recently I took a Chinese Dumpling making class one Sunday at the Brooklyn Kitchen in Williamsburg. The class was an excellent class taught by Connie Sun of Bite Size Kitchen where I learned tons of useful dumpling making tricks. I learned some great recipes for Chinese style fillings, and most importantly, several techniques for folding dumplings. 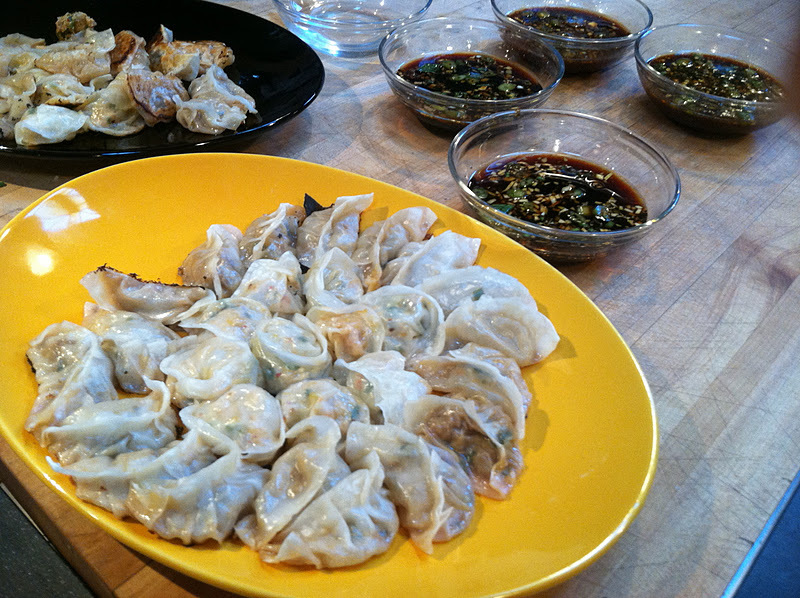 Last night, Brad and I made Chinese style beef dumplings, which we pan fried, and were delicious, and next week I plan on making veal/kimchi dumplings as well. So this is the first of a series of posts on dumplings that I plan on posting, as I'll be sharing the recipes for the dumplings I'm making these days soon. 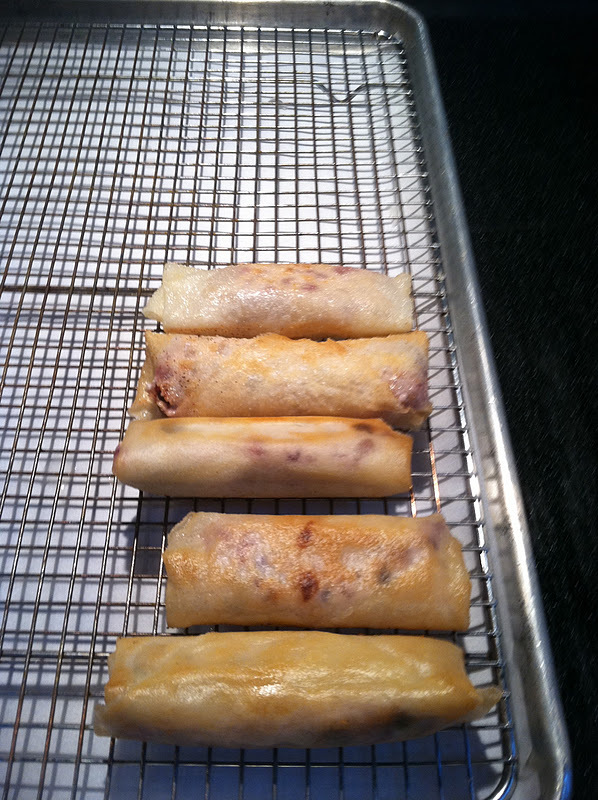 Here are some pictures of the dumpling making experience from my class. 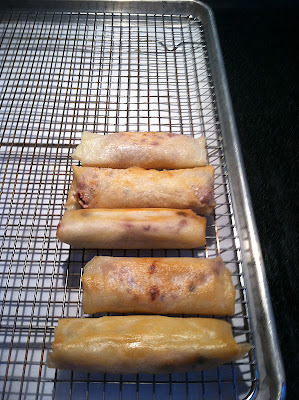 Oh, and also check out my latest product review from ShopRite on their blog panel Potluck! 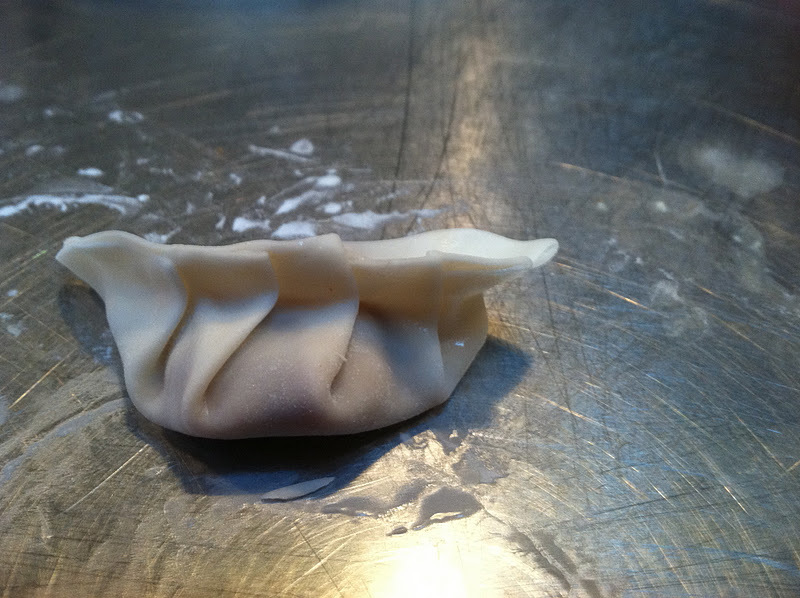 I've been dying for dumplings lately, and yours look perfect-o! Bookmarking this baby! Hmmmm the dumplings look great.